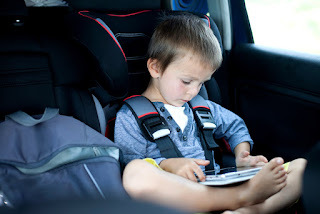 Back when my children rode in car seats and I was their chauffeur, I constantly scanned the rear view mirror looking for trouble in the back seat, especially after they were old enough to undo the restraints by themselves. A child on the loose in a car is a child in danger. The National Highway Traffic Safety Administration says unrestrained children 14 and younger accounted for nearly 170,000 car injuries in 2012 with 1,100 of them fatalities. I suspect Bob Steffen probably had parental anxieties like mine when he founded Cars-N-Kids in St. Louis and invented a device called Driver’s Little Helper. It’s a car seat sensor with built-in Bluetooth communication that sends an alert through an app when a child gets out of the car seat or when the temperature in the car gets too hot or too cold. The Driver’s Little Helper system uses three components. One is a small plastic cushion that slips under the pad of a child’s car seat. A short cable connects the pad to a battery-powered transmitter that clips to the seat or to a seat belt strap. The third element is a mobile app that can be downloaded for free from the iTunes App Store or the Google Play Store. When I tested Driver’s Little Helper, I found it was no more difficult than setting up Bluetooth speakers or wireless headphones. I started by installing three AAA batteries in the transmitter, (something the Driver’s Little Helper instructions neglected to mention), then plugged in the cushion cable. In the app, you can enter your name along with a mobile number and email address plus contact information for any additional parties who should get alerts. The next stop was a link to add a new car seat. The app quickly found the sensor and gave me the options to assign it to a specific child’s name and upload a photo. 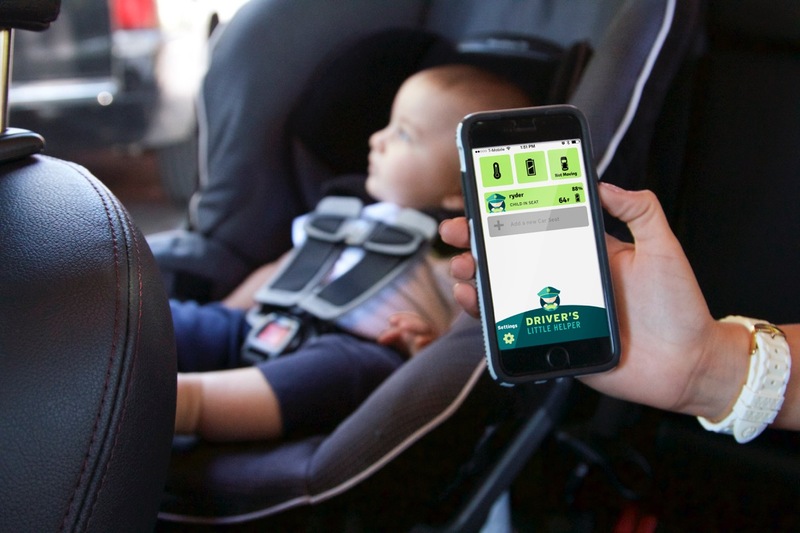 The Driver’s Little Helper supports multiple sensors, so naming them sounds like a good idea for parents who have more than one little passenger. When there’s no pressure on the cushion, the transmitter powers down and the app shows that the sensor is offline. But when a child is in place, the app lights up and reports “Child in seat” and shows the temperature, battery level and whether the vehicle is moving or stopped. If the child leaves the seat, the display changes to “Child out of seat” and when the car stops, an alert appears on the screen. The system will also send an alert if the car stops and the child remains in the seat. Users can specify how long to wait after the car stops before the alert goes out. It’s technology like this that could put an end to children being forgotten and left in a hot car. The creators of Driver’s Little Helper are accepting preorders at the Driver’s Little Helper website. The device costs $79.99 and comes with the sensor pad, transmitter and story book and stickers for the little passengers. To learn more about Driver’s Little Helper, check out the video below, visit the DLH page on Facebook and follow @drivers_helper on Twitter.